contains 100% egg shell.Natural source of calcium and other elements. 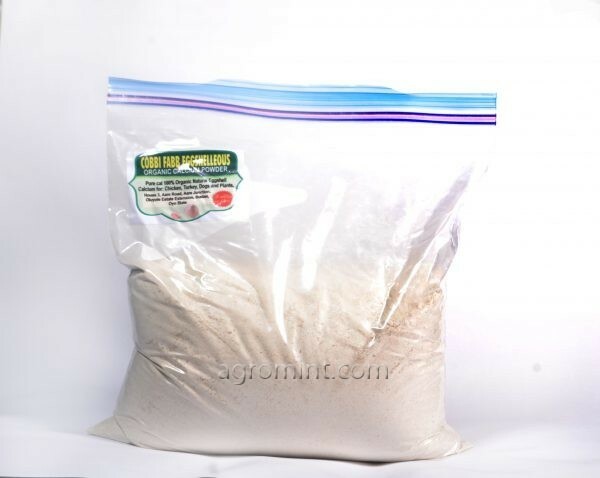 Can be used as a plant fertilizer and also for animal feed purpose. Excellent Calcium supplement for dog meal and livestock feed. Improves egg shell quality in poultry.Ideal for making soil compost.No additives added.